Maryam Amir received her master’s in Education from UCLA, where her research focused on the effects of mentorship rooted in Critical Race Theory for urban high school students of color. She holds a bachelor’s in Child and Adolescent Development from San Jose State University, where she served as the President of the Muslim Student Association for two consecutive years. Currently, she is pursuing a second bachelor’s degree in Islamic Studies through Al Azhar University. 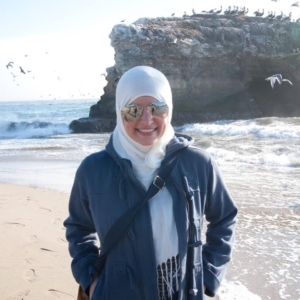 Maryam spent a year studying the Arabic language and Qur’an in Cairo, Egypt, and has memorized the Qur’an. She has been presented the Student of the Year award by former California Governor Arnold Schwarzenegger and holds a second degree black belt in Tae Kwon Do. Maryam writes for virtualmosque.com and aljumuah.com and frequently travels to work with different communities on topics related to spiritual connections, social issues and women’s studies. Jabir Tarin is a Bay Area native, a Masters of Arts candidate in Marriage and Family therapy. Prior to his graduate education, Mr. Tarin graduated with a Bachelors degree in Psychology from California State University East Bay in 2013. Additionally, Jabir is a student of Islamic theology and serves as a Khatib intermittently. Jabir is interested in spiritually integrated therapy and serving his community. Jabir Tarin currently resides in Hayward, CA. Feraidoon Mojadedi is one of the most well-known and respected community activists, lecturers, and entrepreneurs in the Bay Area, California. He was born in Herat, Afghanistan and immigrated with his family to America during the Russian invasion of Afghanistan in 1982. He completed his degree from San Francisco State University where he majored in history. During his last year of college, he took on a major project and became producer of Muslim World TV, a weekly TV show that was broadcast in the greater San Francisco Bay Area for five years. Around the same time, Ustadh Feraidoon spearheaded the weekend classes with Shaykh Hamza Yusuf at the iconic Islamic Study School in Hayward California, which would eventually become the springboard that launched Zaytuna Institute, now known as Zaytuna College. Shakyh Rami Nsour is a scholar, counselor, public speaker, teacher, and translator of Islamic texts. Spending seven years in Mauritania studying Islamic studies at some of the foremost Islamic colleges, Shaykh Rami received licensure (ijaza) to share his wisdom with students. Further enhancing his extensive study of fiqh, Nsour completed an extraordinary ‘in-residence’ experience, allowing him to research questions (fatawa) of Islamic faith, law, and practice. 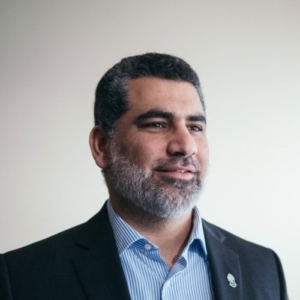 Rami Nsour cofounded the Tayba Foundation, the first organization in the United States to offer a distance-learning program in Islamic Education to incarcerated men and women. Shaykh Rami has extensive experience in curriculum development, specifically in character (akhlaq), and holds a B.A. in Human Development with a focus on Early Childhood. He also obtained an M.A. in Educational Psychology. A resident of the San Francisco Bay Area, he lives with his wife and three children. 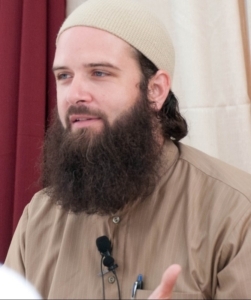 He studied various Islamic sciences with local San Francisco Bay Area scholars. He is a graduate of the Badr Arabic Language Institute in Hadramawt, Yemen, and studied at the prestigious Dar al-Mustafa, also in Hadramawt, under some of the most eminent scholars in the world. 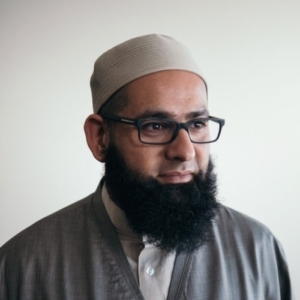 He holds a Master’s Degree in Biblical Studies from the Graduate Theological Union in Berkeley (Oct. 2011), with emphasis upon the New Testament (he is the first Muslim eminarian in the over 150 year history of the school to earn this degree). He is certified in Arabic, Hebrew, and Biblical Greek, and is fluent in Farsi. 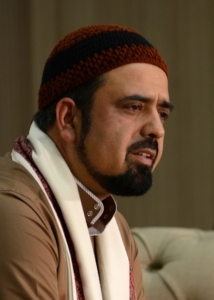 He also holds a Ph.D. in Islamic Biblical Hermeneutics from the GTU (Oct. 2016) and is a professor of Arabic, Qur’an, and Comparative Theologies at Zaytuna College, the first accredited Muslim College in North America. Hosai Mojaddidi is the co-founder of Mental Health 4 Muslims. 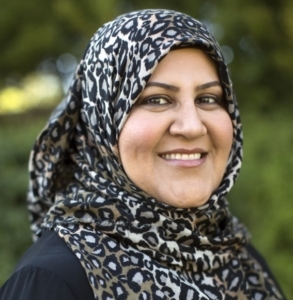 She has been actively involved with Muslim community in the San Francisco Bay Area and the southern California community for nearly 15 years. Working for several non-profit organizations in various capacities as well as a Qur’an teacher and lecturer over the years has afforded her the wonderful opportunity to meet thousands of Muslims from different backgrounds and in the process develop many deep and lasting relationships both personally and professionally. She has also been able to gauge the mental health issues of the larger community firsthand by serving as a private mediator, advisor and mentor to many. She co-founded MH4M with Dr. Nafisa Sekandari because she is passionate about providing a unique and tailored approach to mental health support and recognizes the desperate need for such a service in the Muslim community.